Got a question? Check out the answers below to the most common questions we receive. If you need more info, please send us an email at info@bgcc.org or call 312-235-8000. 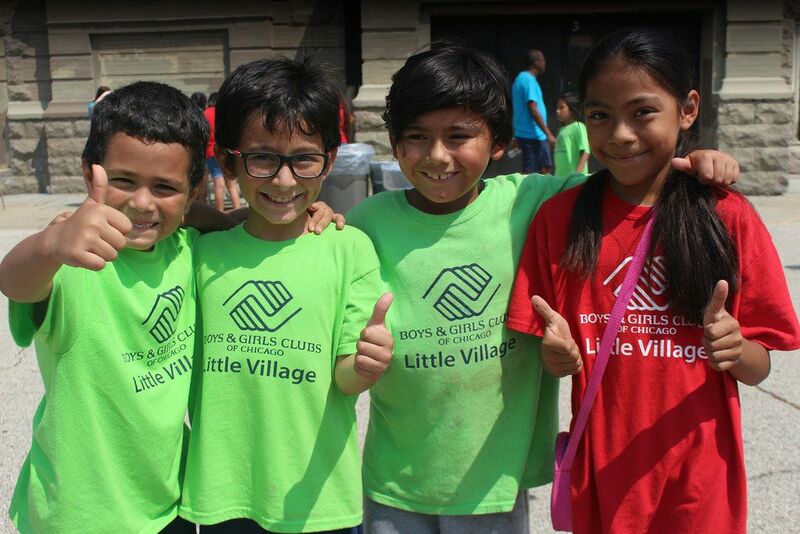 Boys & Girls Club is a safe place for kids that is supervised by paid professional staff who offer fun and engaging programs for Club members at little to no cost. The Clubs offer a wide variety of programs to meet the needs of various ages and interests, such as leadership development and volunteering opportunities, homework help, computers, games, sports, dance, swimming, photography, arts and crafts, discussion groups, college prep, youth employment, movie making and delinquency prevention. Boys & Girls Clubs welcome young people between the ages of 5-18. Some of our school-based programs serve kids in age ranges that attend that specific school, whether they be high school or elementary school-aged students. Please check out our list of Club locations to find a Club near you to confirm the ages of its members or call 312-235-8000. How can my child become a member? Is there a Boys & Girls Club near me? First, visit Our Club Locations page to find a Club close to your home, work or your child’s school. You will then need to complete a membership application, which you can get by visiting the Club. Membership is $20 for one year. Why is membership only $20 per year? We keep our membership fees low so all children have the opportunity to belong to a Boys & Girls Club. As a not-for-profit agency, we are fortunate to have countless individuals, corporations and foundations that invest in our kids futures, so we can employ trained professionals and offer a wide array of programs. Do Boys & Girls Clubs have summer programs? During the summer, many of our Clubs offer full-day summer camp programs for an additional fee. These programs begin in the morning and end in the early evening. Additionally, our Clubs are still open in the afternoons to all current Boys & Girls Club members who may not need a full-day program. View Club Locations to find a Club near you and call for more information about its summer program offering and fee. How is a Boys & Girls Club different from other youth organizations? Boys & Girls Clubs are dedicated facilities that are especially designed for young people up to the age of 18. As a result, young people find a unique sense of belonging at the Club. The Clubs are open every day after school and are supervised by trained youth development professionals and not just volunteers. The Clubs offer a wide variety of programs that build character, enhance education, cultivate creativity, encourage fitness and teamwork and teach important life skills. This gives young people opportunity to choose from a variety of activities. What’s more is that we’re affordable for all youth at only $20 a year. Do you accept donated items that have been used? We accept items that are in very good condition and on a case by case basis. To donate an item, please call 312-235-8028. We have many volunteer positions to meet your schedule, interests and desired location. Please see our Volunteer page to review the types of positions available and complete the Volunteer Interest Form. Is the organization hiring? How do I apply for a job? Please view our Careers page for a full list of available employment opportunities, which are updated regularly. You may also apply for a specific position directly from our web site.